Our busy lives do not leave much time for long hours in the kitchen or deciphering a complicated recipe. We are more likely eat healthy recipes if they are easy to prep, cook or bake. Read our article to learn about what makes a recipe healthy, including foods and cooking habits to include and avoid, 5 easy healthy recipes that are not only packed with nutritional value, but in delicious taste, plus how your liver can benefit. What makes a recipe healthy? 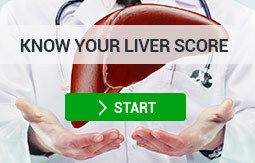 You do not have to stop cooking or baking your favorite recipes (most of them, anyway) to eat a healthy liver diet. 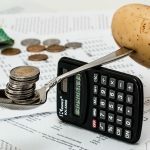 Here are 8 tips on how to modify an unhealthy recipe intro a nutritious one. Use lean and trimmed meat and instead of fatty meat. Fatty meat can raise your cholesterol and contribute to fatty liver disease and cardiovascular (heart) disease. According to the U.S. Department of Agriculture, a portion (100 grams or 3.5 ounces) of lean cut meat must contain 10 grams (0.35 ounces) or less of total fat, with 4.5 grams (0.16 ounces) of saturated fat or less. Substitute battered or crumbed fish with fresh fish, or fish canned in brine or spring water. Battered and crumbed fish have fewer nutrients, can lead to weight gain, as well as poor liver health. Fish in spring water is the healthiest canned option, however canned fish in brine (salt water) is cheaper and you can minimize the sodium if you rinse it. When fish is canned in sunflower oil and other oils, the healthy fats from the fish dissolve in the oil, so when draining it, you’re also draining the omega-3s. Use unsaturated fats and limit saturated fat and trans fats. Trans fats are made when hydrogen is added to vegetable oil to create a particular texture or lengthen the expiry date of a food product. This is the unhealthiest type of fat and can be found in meat, dairy and artificial foods like margarine, frosting and microwave popcorn. Saturated fat is solid at room temperature and often comes from animal products, such as meat, cheese and whole fat milk. This type of fat can also be found in coconut and palm oils. Unsaturated fat is liquid at room temperature and lowers cholesterol. Examples of unsaturated fats include: salmon, avocado, nuts and olive oil. Substitute dairy products high in saturated and trans fats, like sour cream and cream cheese, for healthier dairy options, like plain Greek yogurt or ricotta. Avoid non-fat, low-fat, reduced-fat and “light” dairy products, which usually contain artificial ingredients, such as additives, chemicals and refined sugar to make up for lost taste. Include lots of beans, legumes and colorful vegetables, which offer various vitamins, minerals and can help combat cancer. Limit starchy vegetables like potatoes, squash and corn, as well as avoid canned vegetables with added salt. Limit, and if possible, avoid salt. When seasoning your food, substitute salt (including sea salt and rock salt) with herbs and spices, like black pepper, oregano and cumin. Use small amounts of ingredients with a high salt content like stock cubes, soy sauce and Jamaican jerk seasoning. Too much sodium (a mineral found in salt) causes your body to retain water, which can damage your liver and raise blood pressure, straining your arteries, brain, heart and kidneys. Avoid adding sugar to your recipes and using foods with added or refined sugar like table sugar, white flour (found in foods like white pasta and white bread) and most sweets. Instead, use whole grain food products and natural sweeteners like a little bit of honey or agave syrup. How you cook something is almost as important as what you cook. Stick to healthy cooking methods like grilling, steaming, stir-frying, barbequing, boiling, poaching, roasting and dry baking. Avoid frying in oil, deep frying and adding butter to your food. 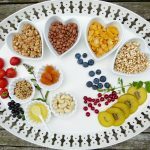 Now that you know how you can modify unhealthy recipes into nutritious ones, here are 5 easy healthy recipes that do not need modifying ─ in nutrition or taste. Savory, spicy and satisfying, this 10-minute recipe mixes chicken, bell pepper, jalapeno, cilantro and a splash of lime juice into a scooped out avocado. It is healthy and easy to make! Spinach, garlic and red peppercorns are combined with apples, cranberries and walnuts in this savory, sour and sweet vitamin-packed recipe. Not only does this recipe substitute Italy’s famous dough dumplings with tasty, healthy ingredients, it is easy to follow. Made with russet potatoes, eggs and gluten-free flour, gluten free gnocchi will invite a healthy lifestyle alongside a taste of Italian cuisine into your home. This fresh and nutritious kale salad only has one easy step: mix all the ingredients in a medium bowl and enjoy. Packed with other healthy greens, like broccoli, Brussel sprouts, avocado and more, this simple recipe is far from boring. Easy, healthy and naturally sweet, this dessert only takes five minutes to prep and has four ingredients: strawberries, agave nectar, Greek yogurt and lemon juice. This strawberry frozen yogurt recipe is a good example of swapping unhealthy ingredients for nutritious ones like Greek yogurt instead of cream and agave nectar instead of sugar. The above recipes come from Amsety’s recipes page. 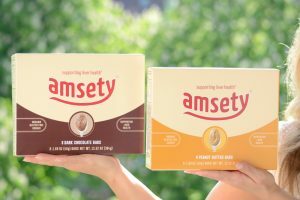 Amsety is a nutrition company based in Carlsbad, California dedicated to helping liver patients through nutrition focused solutions and providing education about liver health. Most of Amsety’s recipes are created by their in-house chef, Chef Chad. For more easy, healthy recipes check out Amsety’s YouTube channel. Try our 3 quick snack pack recipes with our Chef Chad, easy and great for your liver!